Sod is the perfect way to get “instant grass” for your new home, business, golf course, recreational field, sports arena, or park. Country Green Turf Farms offers a wide variety of sod mixtures so you can find the right type of turfgrass for your specific needs. From sod that handles shady environments to hardy, resilient sports grass, we can help you select the right sod for your green spaces. Contact us for all your questions about sod in Sammamish and the surrounding communities. Sod is the fastest way to achieve a lawn or other field that is ready for use in a very short time. There is no waiting for seed germination and no threat of uneven patches, seed predation, or other threats that come with hand-seeding. Our sod professionals are part of a family-owned business that has delivered quality sod in Sammamish since 1988. In that time we have fostered top-quality seeds and created tried-and-true mixtures for different growing environments. Talk to our friendly staff about the usage and conditions where you want sod. We are happy to share our experience with you by helping you select the perfect sod mix. Our sod comes without plastic netting so that it is naturally hardy. We have installation options and can deliver wide strips for covering large spaces. We can install your turfgrass professionally or you are welcome to pick it up to install on your own. 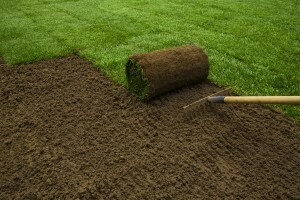 Growing healthy sod is not only dependent on quality seeds, but also on the condition of the soil. Before planting each new plot of sod, we re-fumigate the soil in order to rid it of weed seeds, rhizomes, stolons, tubers, and other types of pathogens. This ensures our customers get weed-free sod that is healthy and well-prepared to thrive. We even carefully control the environment around the edges of sod plots to minimize any risk of contamination. These strict quality-control measures are part of the extra mile we go to guarantee high-quality sod. Additionally, we give you everything you need to keep your sod healthy once it has been installed. Included with the sod, you will receive fertilizer specifically design for the type of sod mix you have. We also give you aftercare instructions so you have all the information you need to keep your grass healthy. This includes information about when and how much to water, the best cutting length for mowing, and more. We encourage you to call with any questions you have before or after you have had sod installed. We are proud to pass along our expertise to help you find the right product and keep it thriving for years to come. 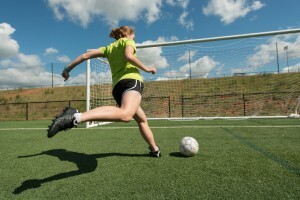 Contact us today for your healthy, weed-free sod in Sammamish and the surrounding areas. We also offer hydroseeding and contractor services in Sammamish.